Thank you for contacting the Bloom Bloom Room. Please fill out the form and we will be in contact with you within 24 hours. Please call us at 778-867-3647 for immediate attention and leave a message if no answer. Keep smelling the daisies! Thank you for contacting the Bloom Bloom Room - we appreciate your business! Have a wonderful day. The Bloom Bloom Room Flower studio is a full service floral shop selling flowers and gifts online and offering workshops, event work and wedding ervices. Every child is a different kind of little flower, and all together they make this world a beautiful garden. 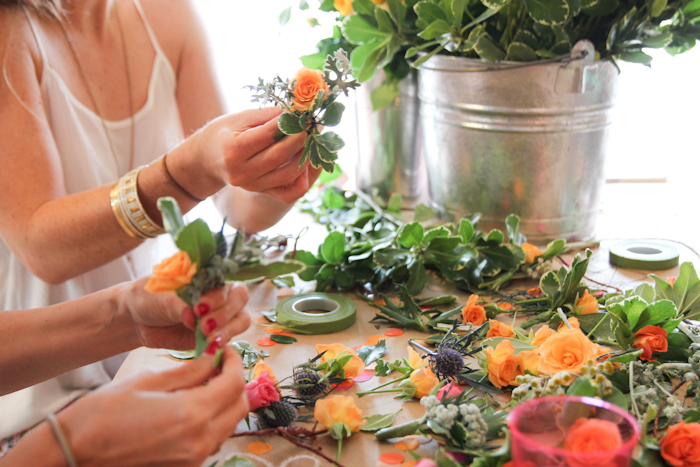 Join us for an introduction to Flower Crown making. You will learn how to create your own personal flower crown using fresh flowers and greens provided all in the beautiful studio - bring some wine and your inner boho to make a fab crown all for you! Flowers, greens, tools and additional materials are included. Please contact us to put your name on our workshop lists to ensure a spot or better yet book your own personal eve (minimum of four people needed). These workshops are some of our most favorite as they change seasonally and include an interesting array of vessels including pumpkins, hurricane candle holders, wreaths, rustic wooden boxes, willow bowls and more. These workshops book up quickly for seasonal offerings like Thanksgiving, Christmas, Easter. Please contact us to put your name on our workshop lists to ensure a spot or better yet book your own personal eve (minimum of four people needed). 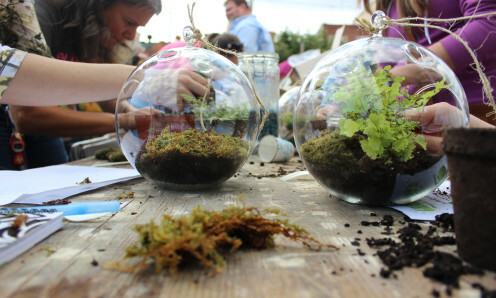 Join us for a fun hands-on workshop where you will learn the art of making a living garden terrarium. We provide you with everything you need: plants, container, stones, moss, natural accents, and of course, helpful one-on-one instruction with our knowledgable staff. Give us a call to book your workshop and bring wine and snacks! Please contact us to put your name on our workshop lists to ensure a spot or better yet book your own personal eve (minimum of four people needed). 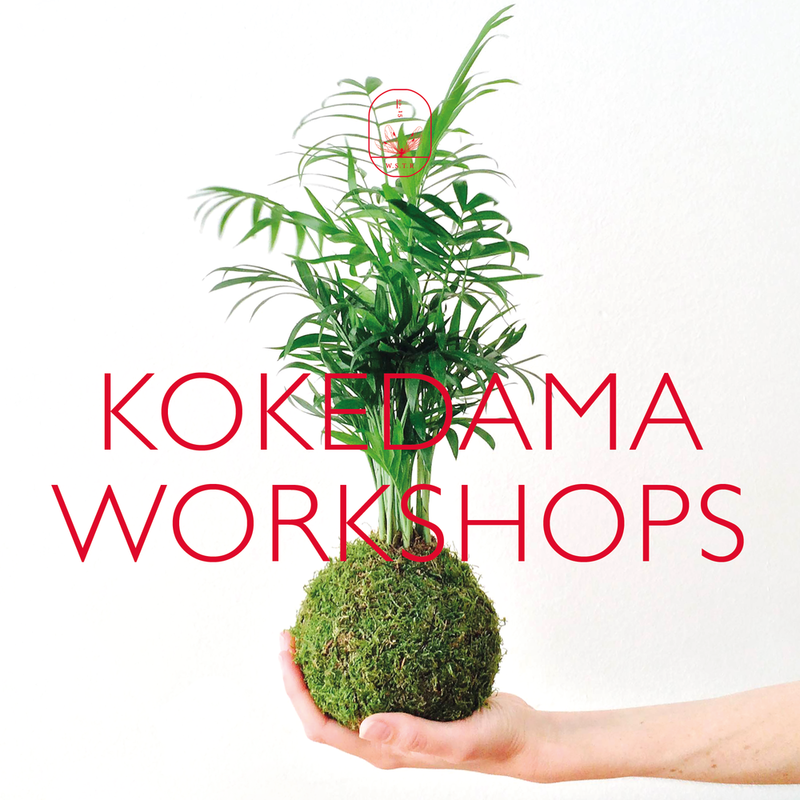 Kokedama originated centuries ago from Japan where bonsai plants were grown in moss-covered spherical balls made of soil. Loosely translated, ‘koke’ means moss and ‘dama’ means ball. Koke-moss + dama-ball. An economical and beautiful alternative to bonsai. Come get your hands dirty and enjoy learning how to make these lovely and unique balls. We will supply everything and you will be creating your own hanging moss balls using tropicals, moss and a special soil mix. Please contact us to put your name on our workshop lists to ensure a spot or better yet book your own personal eve (minimum of four people needed). Are you looking for a unique birthday party idea for your child – book us for a fabulous hands on flower arranging party in your home! Parties usually last for 1-1.5 hours and includes floral foam (if using), fresh blooms, instruction. We are happy to coordinate the party and send out Evites, order the cake, bring snacks, drinks, decorate, etc as well. Call us for a consultation and we will ensure your child has an amazing and unforgettable birthday celebration! Children ages 6yrs and up. Preschool children parties available as well – 45-60 minutes, parent participation only. Email us at info@bloombloomroom.ca to book. Adults & Private Events - A perfect way to spend some time with friends, flowers & fun. Contact us to book a private workshop in your home, cafe or favorite restaurant. Great for Book Clubs, wine clubs, ladies or mom clubs. We bring everything to you and do the clean up! Pick from our workshop list above or pitch something new to us! Contact us at info@bloombloomroom.ca to book.